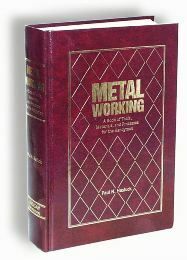 If I had found this book 30 years ago when I was on the quest for all metalworking knowledge I would have been in love with it and be constantly referring folks to it. 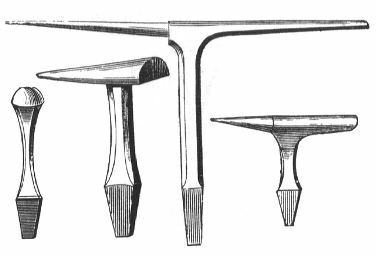 Hasluck attempted to describe every metalworking shop technique and tools, doing a very good job, for circa 1900. . . Publication was 1907, seven years before the first MACHINERY'S HANDBOOK in 1914. This was a time of great change technologically. Where many of the things described are timeless, many others are quite dated. 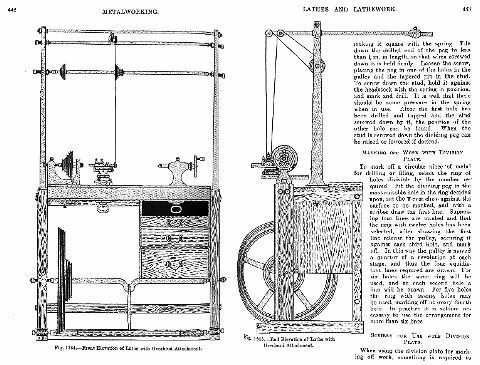 Machines covered in detail by Hasluck, including construction drawings, had not yet matured to their most enduring form as they would in just a few short years. Tools common to us such as the Jacobs chuck and standard lathe tool post had not yet been invented. Metallurgy still thought that crystallization leading to failure occurred in use rather than during heat treatment. Hasluck has given us a complete overview of metalworking in 1900 much as Diderot did in 1760. Every process is covered in as much detail as could be in a single reference. There are hundreds of drawings. Many tools are named that I had never seen given specific names. If you are interested in building your own machinery from scratch there are a number of detailed projects including the construction of a foot powered metal turning lathe, a steam engine with boiler, a petrol (gasoline) engine and a skeleton (open frame) clock. However, these are not your 20th century do it yourself how-to plans, or engineering plans with every detail. These are plans typical to what was used throughout the 19th century sufficient for a person with good mechanical skills that knew HOW-TO make things. This was the era before tolerances on drawings and every step of drilling and taping a hole called out. Yet things got built as they can be with the plans in this book. Small wood framed foot powered lathe of the period. Pages 442, 443. Some subjects, such as repousse' are covered in more detail than in references where you would expect it. There are also dozens of decorative pattern drawings to apply the repousse'. As one would expect they have a very turn of the century style. Again, a bit of history preserved.